Treat your hubby to footwear that transitions flawlessly across the seasons and fashion trends. You won’t have to ask twice for him to rock these mock moccasins — Rockassins, to be exact — although you might twist your tongue trying to repeat that. 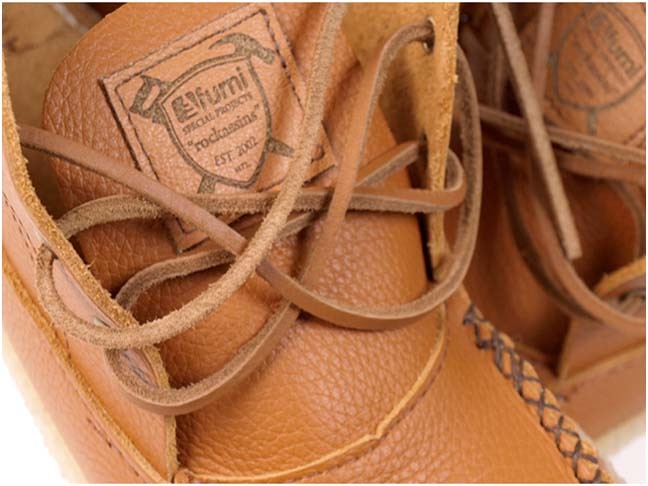 The Rockassin is a moccasin-inspired ankle boot from furniture crafter Furni. It’s nice to think about never having to wear a stiff pair of shoes again — wouldn’t it be nice to just slide into some slippers indefinitely? 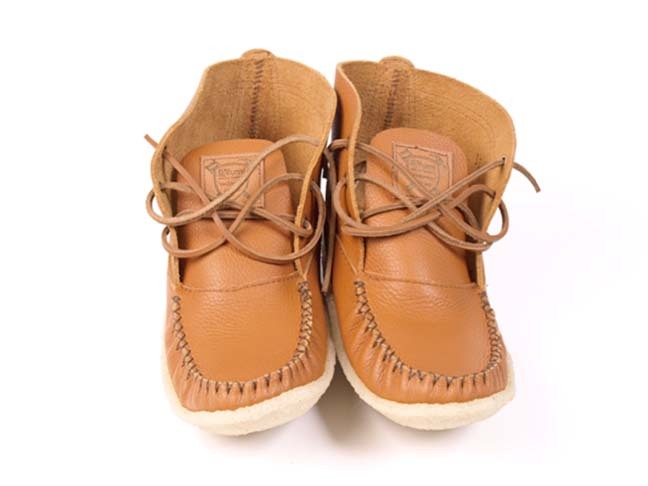 Moccasins have long been a comfortable alternative to thick-soled footwear, as they blend the perks of a slipper with the sturdiness of everyday footwear. 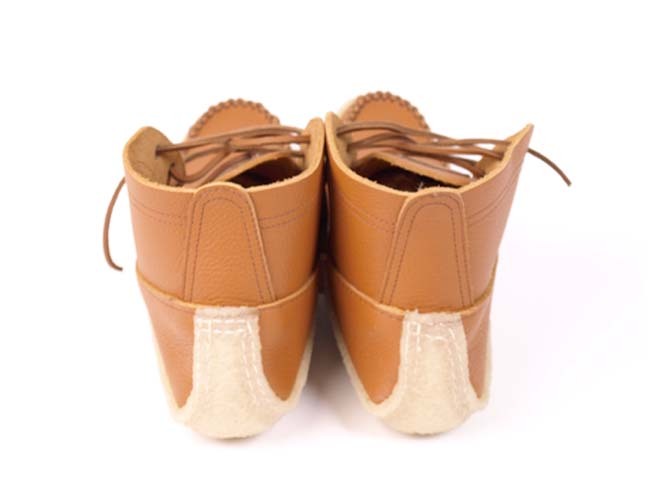 But moccasins have a definite style that may not fit with your wardrobe. Furni has taken the task to the workbench to create a modern moccasin that encapsulates what we love about the cosy slip-ons. 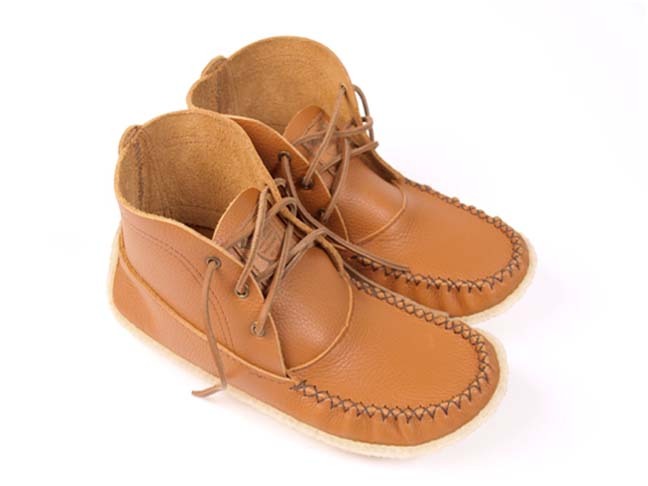 Made from caramel colored Brazilian leather, these moccasin ankle boots are a fantastic upgrade if traditional moccasins are just not his thing. This simple design makes pairing the boots with most styles effortless, and they’re comfortable to boot! The crepe soles provide air-like comfortable walking, with just the right amount of protection and shock absorption. Furni is a custom furniture operation run by Devin Barrette and Mike Giles in Montreal, Canada. Each pair of Rockassins is made to order, and production will begin February 21, 2011, so place your pre-order now. A 3-5 week wait is expected, so keep that in mind when ordering. The duo teamed up with a Canadian company that has been making snowshoes and moccasins for over 40 years; nothing says sturdy shoes like a marriage of furniture makers and shoe crafters. Visit the Furni website to find out more about sizing and ordering information. Women’s sizes available upon request!